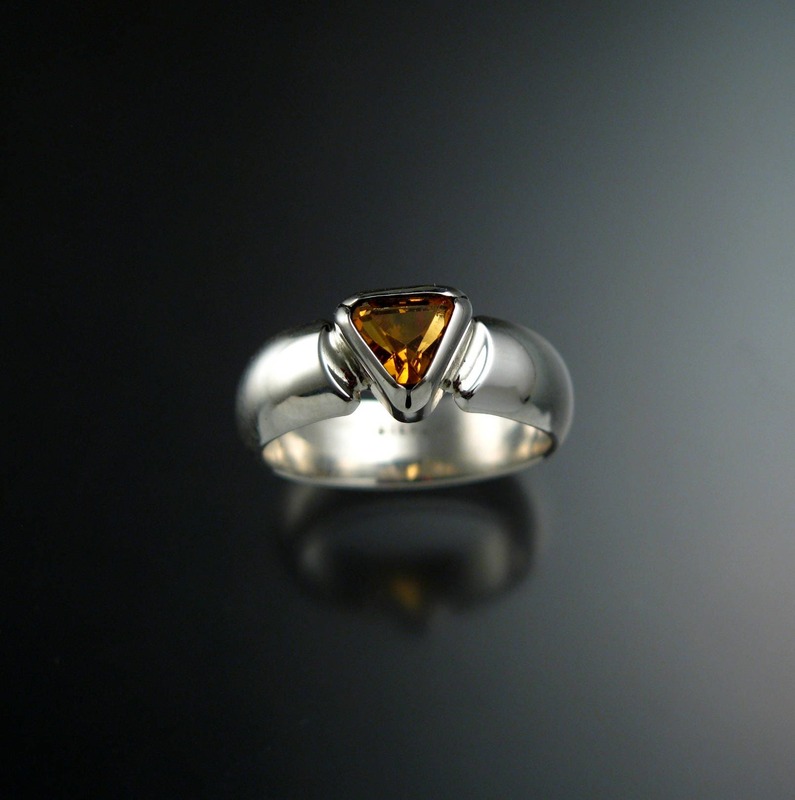 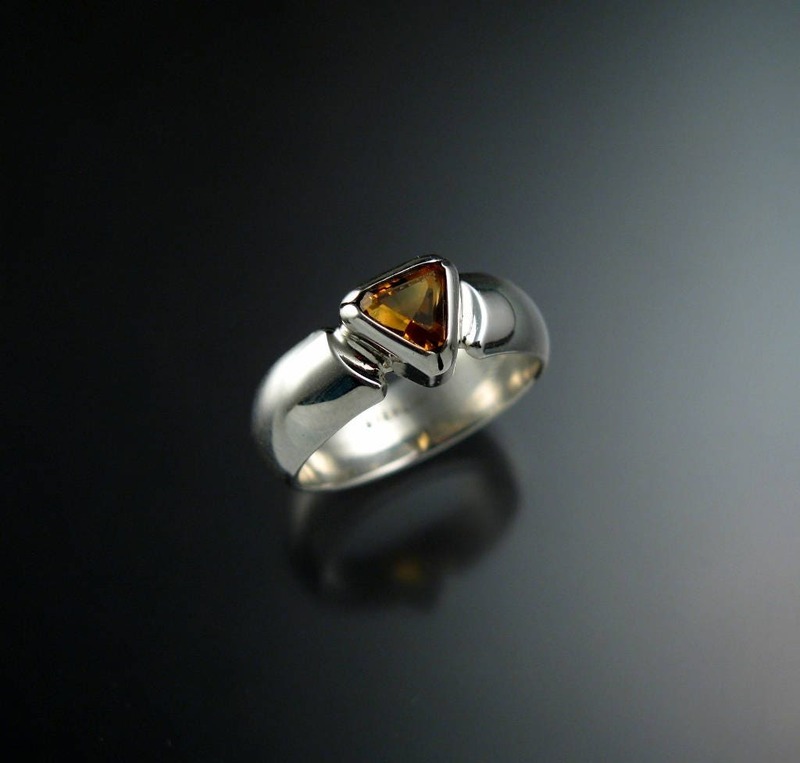 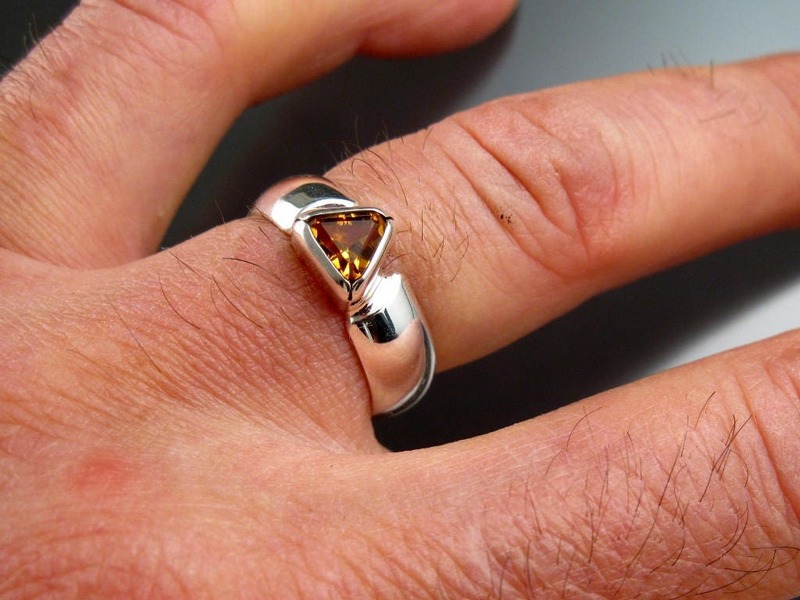 6mm Triangular Citrine is a very nice Amber color (almost Orange). 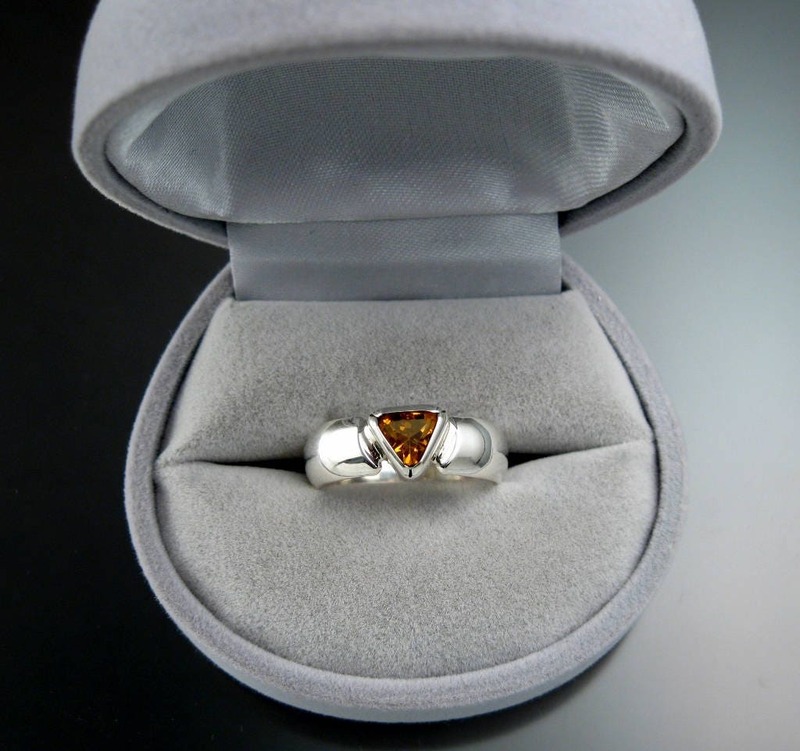 Eye clean stone is bezel set with 6mm wide and 1.7mm thick half round band. 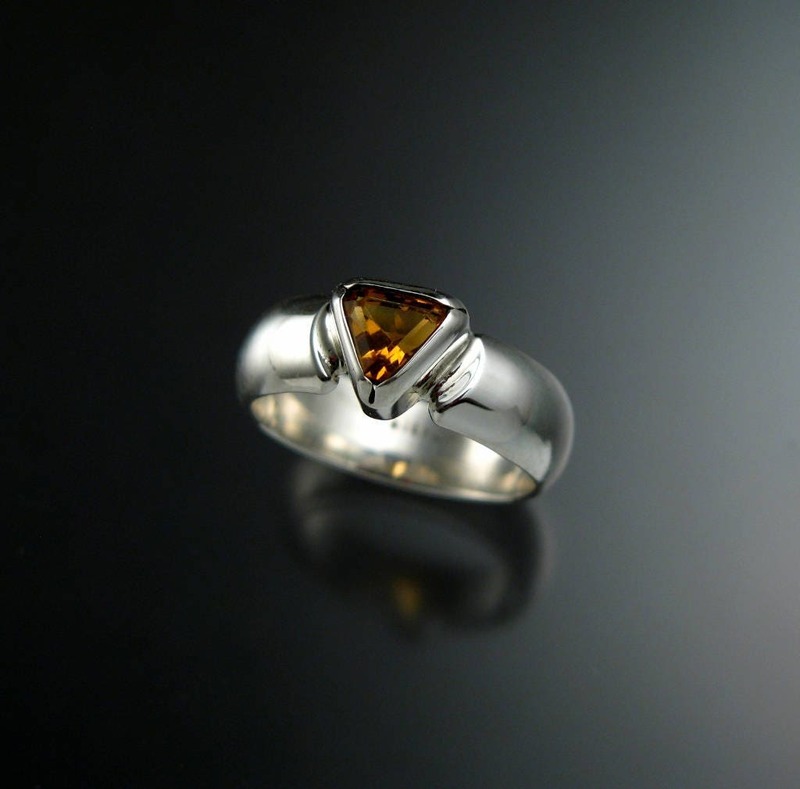 I can make this ring in any size between 5 and 11.